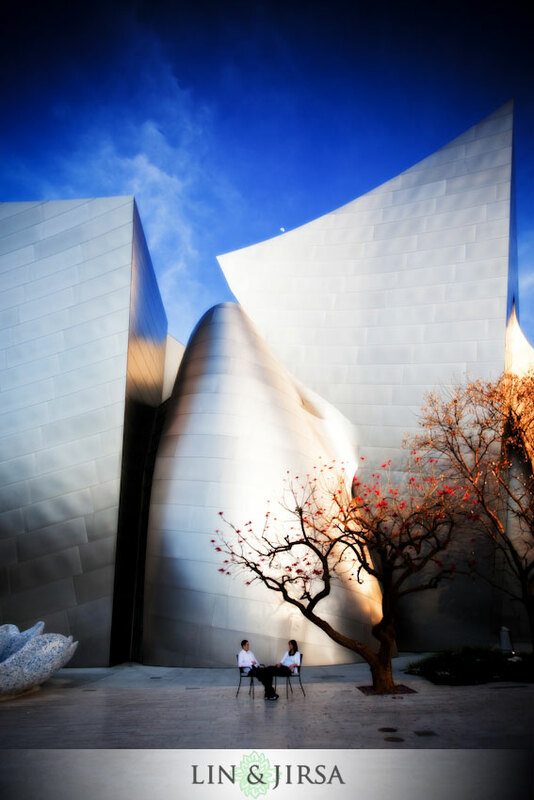 The futuristic building of the Walt Disney Concert Hall creates a gorgeous environment for your Los Angeles Wedding. Located right downtown, it’s close to great hotels, the Modern Art Museum and other great locations for your wedding photography. Here’s the bride walking down the aisle of the outdoor wedding ceremony at the Walt Disney Concert Hall. 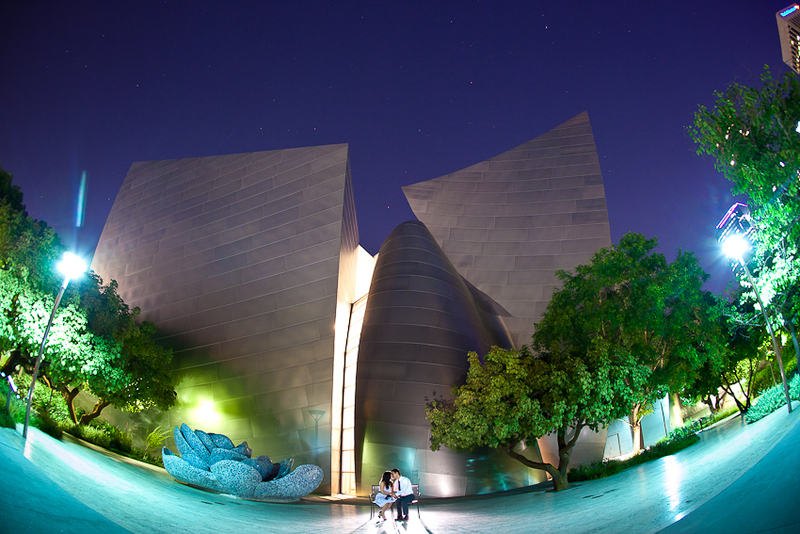 For the full post of this wedding, please click on this Walt Disney Concert Hall Wedding. 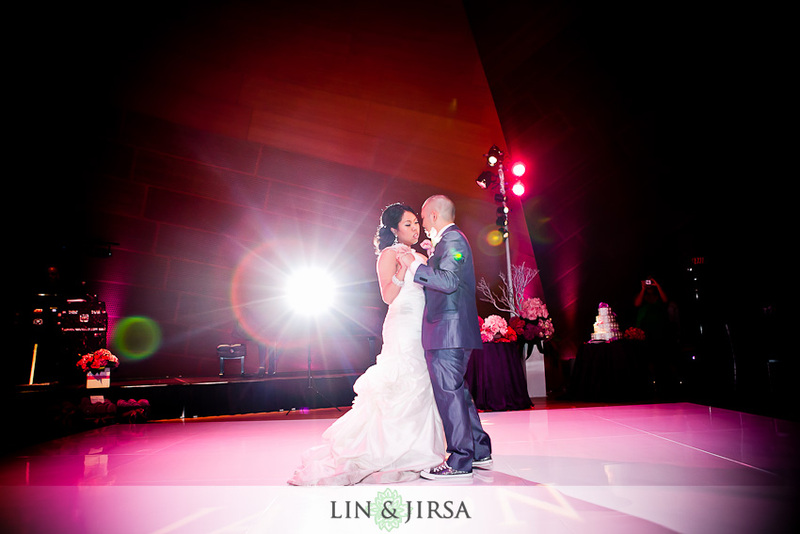 The dance floor of the Walt Disney Concert Hall creates a great scene for the first dance of the bride and groom of a wedding. Wedding photography is made interesting by the interesting architecture of the Walt Disney Concert Hall. 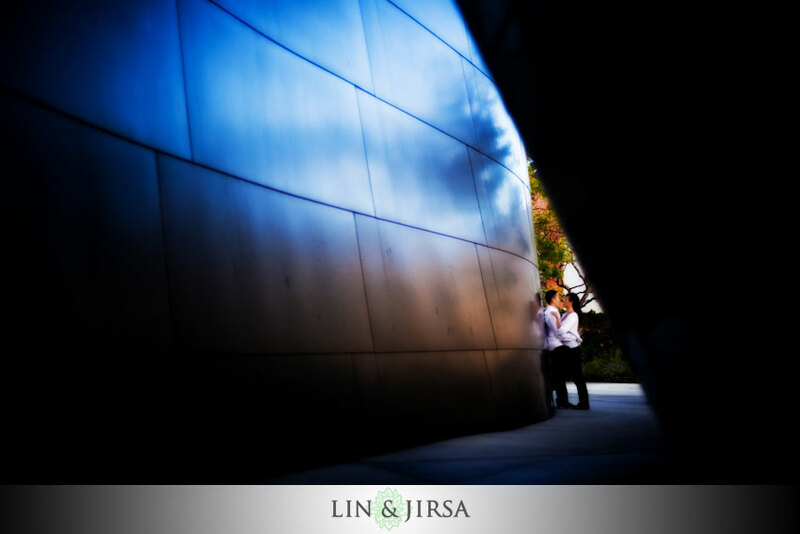 The gorgeous sun gleaming off of the metal exterior of the Walt Disney Concert Hall creates some interesting engagement photography as well. Please view this slideshow from a wedding at the Walt Disney Concert Hall.